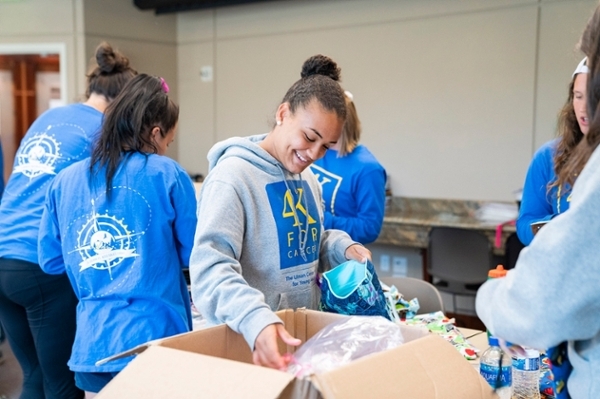 A group of 22 runners from 4K for Cancer-Ulman Cancer Fund visited Huntsman Cancer Institute (HCI) for a tour of HCI and service project on June 29, 2018. 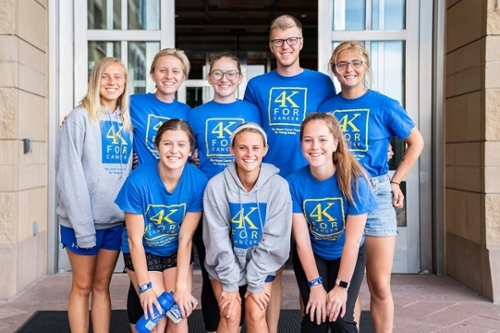 The team, consisting of runners from all across the United States, is running 4,000 miles from San Francisco to New York this summer to raise money and awareness for young adults impacted by cancer. During their visit the group heard from various speakers including a young adult cancer survivor, adolescent and young adult (AYA) cancer researchers, and AYA patient navigators. They also worked with HCI’s volunteer services to assemble patient care kits. In addition to visiting HCI, the group stopped by Primary Children’s Hospital where they were given a tour and visited with patients and families staying in the hospital. Learn more about Team New York.